Status: common throughout Monroe County. Description: Herbaceous biennial with stems 2‐4’ tall. First‐year plants form a basal rosette that remains green through the winter. Second‐year plants produce one to several flowering stems. Basal leaves dark green, heart‐shaped, with large teeth. Stem leaves alternate, triangular, with large teeth, up to 3” across. Leaves and stems smell like garlic when crushed. 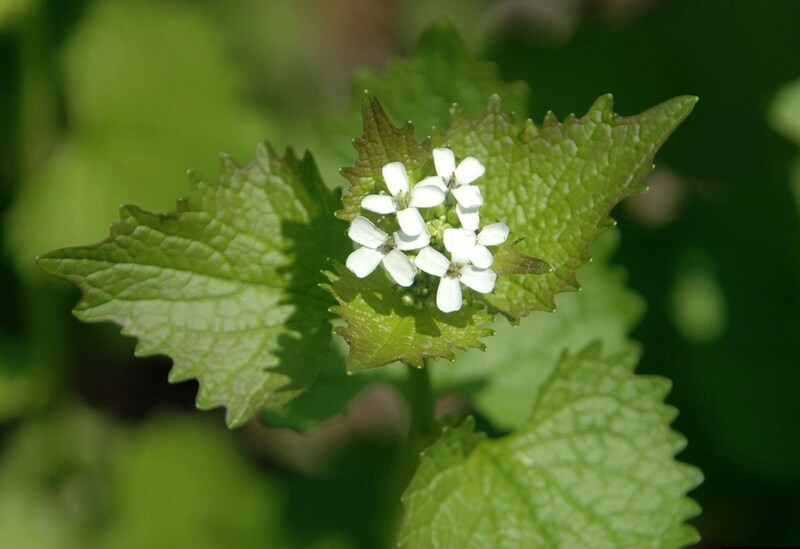 Flowers small, white, 4‐petaled, and abundant; blooms throughout the spring. Fruits long, slender capsules with small, dark seeds. Threat: decreases native herbaceous cover by exuding antifungal chemicals that disrupt mycorrhizal fungal associations with native plants; alters habitat suitability for native insects, which may affect food availability for birds, mammals, and other animals. 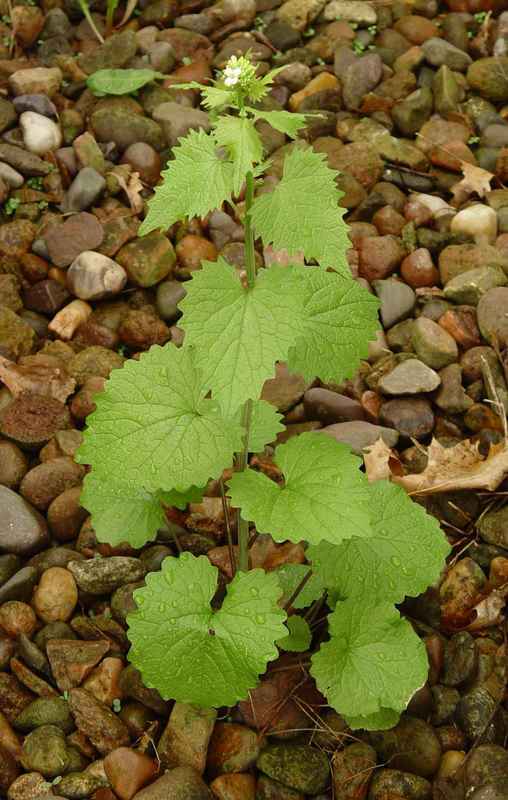 Detailed control options for garlic mustard. 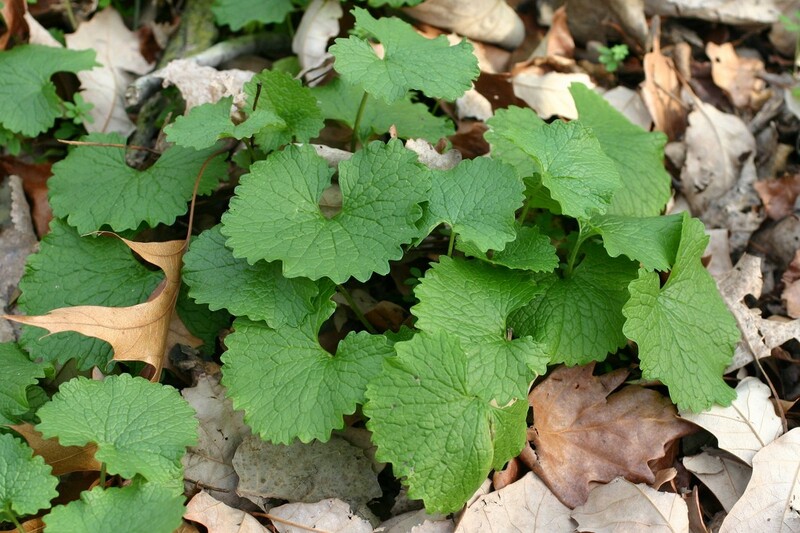 Garlic mustard was brought to the U.S. as a cooking herb. Learn ways to cook what you pull!